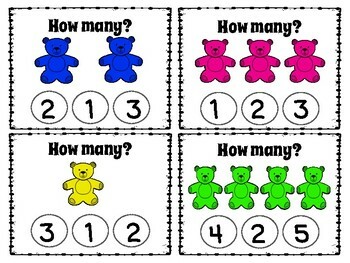 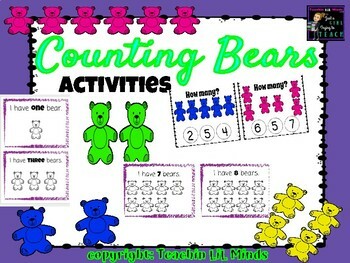 Identify numbers and practice counting by using BEAR counters. 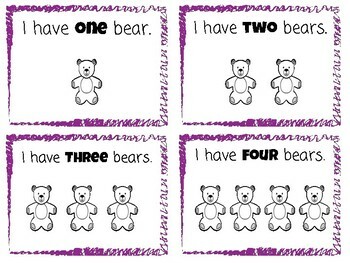 Perfect for small group or centered based learning. 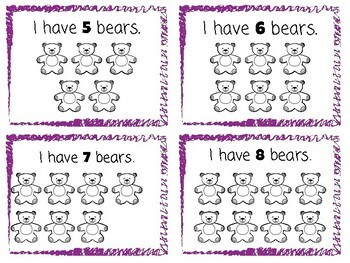 Use BEAR manipulatives/counters to match the number and show one to one correspondence.